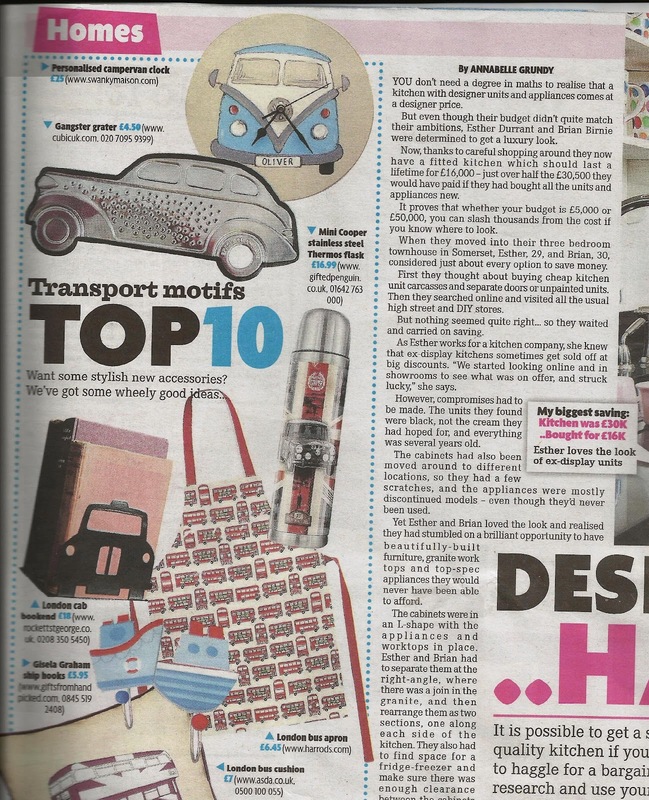 One of the best ways to promote your handmade products has to be getting them featured in a magazine or newspaper, doesn't it? Well, to be quite honest, sometimes it produces a mad rush of orders for you and sometimes the response is much slower. However, each mention widens the number of people who notice you and it can't help but increase your credibility. It always looks good to be featured - and it gives you a little confidence boost too! With that in mind, here's a quick guide to some of the things that can help you get your work in a magazine. Bear in mind that I'm in the UK and this guide is aimed at the UK market. However, I think much of the advice here will be useful in other countries too. It helps to remember that magazines are always looking for something new, currently relevant or different to fill their pages - if your product is all three rolled into one, it's going to be a big help. use a plain white background (or even better: if you know how to do cut-outs, you'll be a journalist's best friend!) unless you're a professional stylist and want to do lifestyle shots. Lifestyle shots are less likely to be used on shopping pages, though. 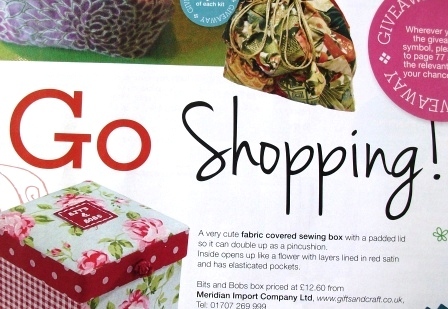 Most magazines have shopping pages, with product photos along with information about where to go to buy that product. These are the pages you're most likely to get featured on (and they're a great place to be, because they subtly suggest your product is worth buying) so pay attention to what sort of things they are featuring. 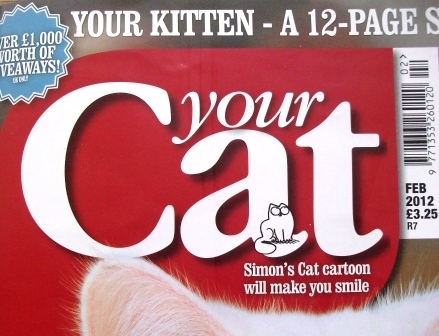 Not all magazines are going to be suitable for your product. Start off by thinking niche markets. Cats, caravans, knitting, sewing, crochet, gardening, chickens, computers, dogs, babies (and more) all have something in common: there are whole magazines dedicated to them. 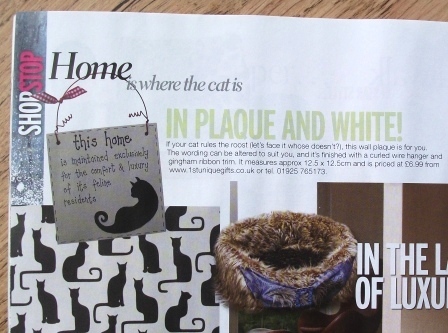 If something you make is of interest to their readers, the magazine may well be interested in featuring that product. Niche markets are often easier to target but their reach is smaller. However, if your product is one that is aimed at that market, it could be very successful for you. You don't have to leave it at niche markets. Bigger magazines may feature you too, although it can be harder to find the journalist you need to approach - in this case it probably won't be the editor. Bear in mind that for a small business where one person is making all the products, it can be hard to keep up with the demand that can come from a feature in a large-circulation magazine - another reason to start with the niche magazines. They may be all you'll need. In the first instance, study each magazine carefully and decide who your best point of contact is. You might find more information online, so check the magazine's website too. Write a short, polite and friendly email telling them about your product. Attach a low resolution (sized for the internet) image and a link to your website. Leave it at that. They'll either be interested or not - so don't hassle them with follow-ups or phone calls (although a lot of people recommend you send just one follow-up email a week or so later). Don't send lots of images: one or maybe two is enough. You can always email them again in a couple of months with a different product (which I think is preferable to a follow-up email using the same product). If they're not interested, don't take it personally. It might just be that your product isn't a good fit with everything else they're putting in the magazine - they often work with themes. Or maybe they've already got something a bit too similar. If they are interested, you'll probably get an email back (or they may phone you) asking for a high resolution image (they may want the item posting to them so they can photograph it themselves, although this is increasingly rare). You'll need to be ready, as they're often in need of that image urgently. Deadlines are always looming! A high resolution image means 300 dpi, and if you don't know how to make your images that size have a look at this tutorial.. It's easy, I promise, and you don't need to buy anything to do it. - you might get published in magazines you would never have considered approaching. 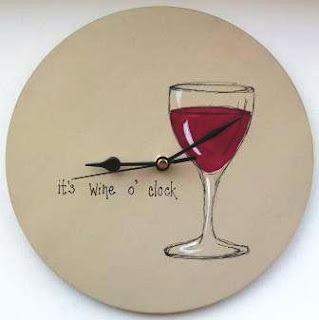 After taking up Press Loft's special offer, my wine o' clock clock ended up in the Metro free newspaper, which wasn't even on my radar. I was flooded with orders (this was three weeks before Christmas), which was really exciting, fabulous and awful all at the same time. I had to stop accepting orders a few days later as I was worried I wouldn't get them all made, packed and posted in time for Christmas. Sell your goods through a website like UK-based Swanky Maison who sell handmade home accessories and unique gifts. Part of their promotion strategy is to promote their partners' products in high profile magazines and newspapers. You'll pay a signing up fee and a commission, but they work hard to get products noticed - and believe me, the work can literally flood in if one of your products is placed in a prominent, high circulation newspaper or magazine. 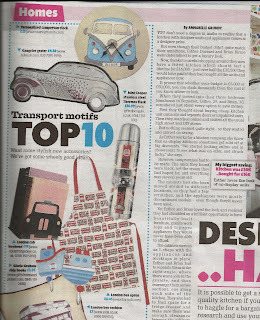 Via Swanky Maison, my campervan clock was placed in the Sunday Mirror magazine, which I would never have achieved on my own. Did I get a flood of orders? Oh heck, yes. My studio (and living room) became a campervan clock factory and I was sick of looking at them for a while. Be careful what you wish for! Follow magazines on Twitter and like them on Facebook. Sometimes they share what they're looking for and your lazy half-hour on the sofa with your feet up can suddenly work in your favour and become productive! Yes, it has actually worked for me and a tweet has resulted in a feature - although don't use it as an excuse for a duvet day too often! There are of course many other ways to get featured, especially if you have an interesting life story or beautiful house! However, if you're interested in selling your handmade products then getting them onto a magazine's shopping pages is one of the easiest and quickest ways to bring that product to a large audience. And, apart from a little time, it's free. The feature is usually quite small, but the response and boost to your business can be huge. Good luck! As always, if you have anything to add, please leave a comment. A great article - thanks. Great article. Very helpful, thank you. Just had a look at the swanky maison site. Very nice. Could you give us an idea of how much you had to pay for the signing up fee and the commission? I'm a little nervous to contact them in case they are well out of my league!! What a good article really covering the territory. The only thing I would add is if you phone the advertising section of any magazine they will tell you all the forthcomming special features. They have them so they can hunt down advertisers. That way you can innocently groom your offer. Say it says: Can't remember exactly, but I think about £100 per year plus 30% of sales. I'd say contact them though - they are lovely, helpful and not at all pushy. Handmadelives: thanks for that extra tip - I can imagine that could be really useful. What a great article! I have just come across your products as I am beginning the journey to joining Swanky Maison - I adore your clocks! Very interesting post. What did you mean about this bit "if you know how to do cut-outs, you'll be a journalist's best friend!" Thanks Kev. Cut-outs are when the photo has been cut out around the product so there's no background - it's not the same as having a white background. 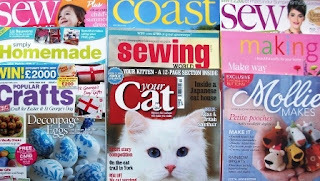 Magazines use cut-outs quite a lot on their shopping pages. Very interesting article, thank you. With cut outs, do you know what format the magazine editors like you to submit it e.g. jpeg? In my experience, they've always been happy with jpegs. There are a number of ways that you’ll be able to gain coupons on baby items especially diapers. It is possible to find coupons that supply a deduction of a particular percentage off the normal retail price of stores. These discounts are typically a good deal less expensive than the cover price. Thank you for the very helpful tips.